The HafenCity is a recently developed area of Hamburg. 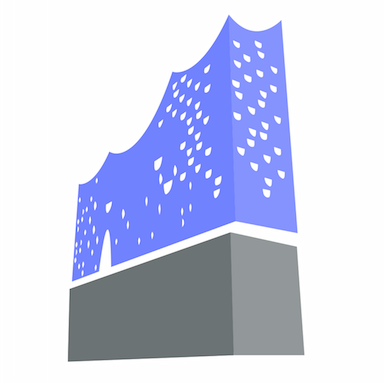 I created an app that showcases the modern architecture of the neighborhood. Star architects from all around the world designed buildings in the HafenCity. Through my app users can explore this neighborhood and learn about the buildings and history of the area. 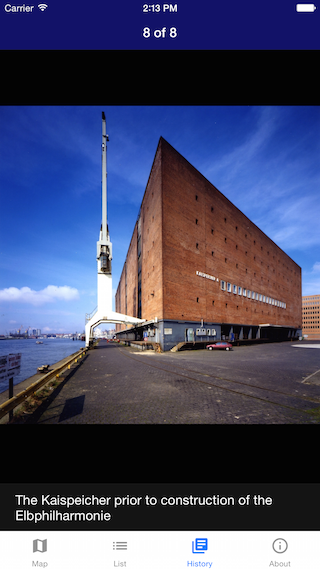 This app was part of a research project, where I traveled to Hamburg to collect information about the HafenCity. This app is written with Swift. I used a tab bar to organize the different parts of the app. 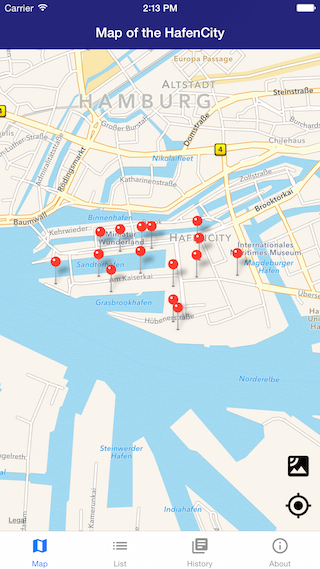 I used MKMapView to display information on a map of the HafenCity. 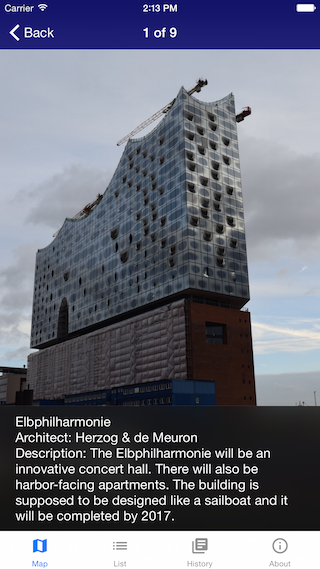 The app uses MWPhotoBrowser to display pictures and text about buildings.